When it comes to Health Care HIPAA Compliance Based App, there are lots of peoples who have confusion in mind. So, I thought let me write a valuable post that can help people to understand what is it? and what to consider while creating a HIPAA Compliance based app? The web has presented us to dangers and threats beforehand inconceivable. Google knows a lot about me than my mother does. Applications installed on my cell phone don’t work except if I enter my information. I can tally a hundred or so applications and sites that have my telephone number, email and name put away on their database. I confide in those sites and applications. This is the reason I trust them with my information. What Makes Me Worry Is My Info Is in Safe Hands? What If Someone Could Breach Their Server and Access to My Info? He may sell it at the dark web to earn some dollars. It is safe to say that they are taking enough measures to keep their database from an interloper? What is the response to numbness? Who will be responsible if something like happens? The company, the government, the cloud server vendor, who??? Who is under the legal obligation to answer me? What will happen when my personal health information is in danger? So, it goes this way. I have trust in my mobile application with my data. It has my name, telephone number, and address. In case, anytime, later on, their server gets broke, and the hacker approaches the database notwithstanding his intention. I can change my cellphone number as well as an email that is again not something I will please with. In any event, this ensures the interloper can’t personally distinguish and make me his victim. But, this isn’t possible always. What about when someone has unauthorized access to see my health data? It has all the information like my allergies, past ailments, conditions, medical reports, and so on. This isn’t the kind of data I can return to and modify. The main line of protection is prevention. The solution is impossible in this situation. HIPAA is the best choice toward this path. HIPAA came around when the web was still in its beginning stage. Java was in form 1. Google was all the while building its notorious search engine. Steve Jobs had come back to Apple after numerous years in a state of banishment. 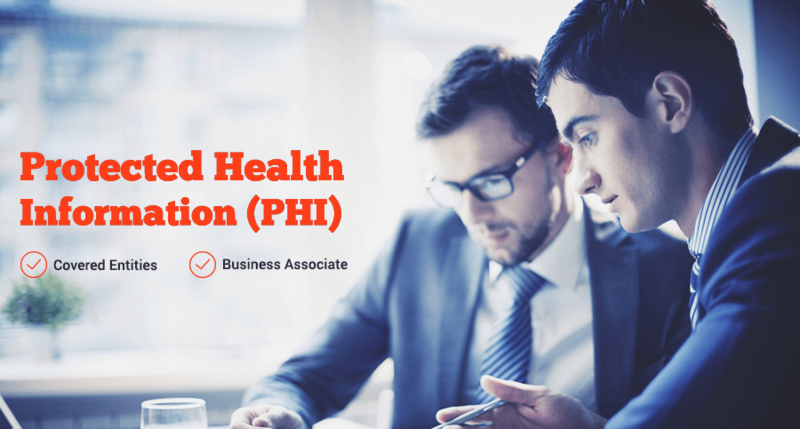 Before we know HIPAA, let’s have a look at what is Protected Health Information (PHI)? So, Protected health information(PHI) under US law is any data about health status, arrangement of medical services, or health care payment that is made or gathered by a Covered Entity and can be connected to a particular person. They electronically transmit any of health data regarding the transactions for which the (HHS) or Department of Health and Human Services has embraced standards. Anybody who stores maintain collects or transmits protected data on behalf of a covered entity. Both Business Associates and Covered Entities need to comply with HIPAA. The norms have no “safe harbor” condition implying that you must be agreeable regardless of whether you handle PHI accidentally. 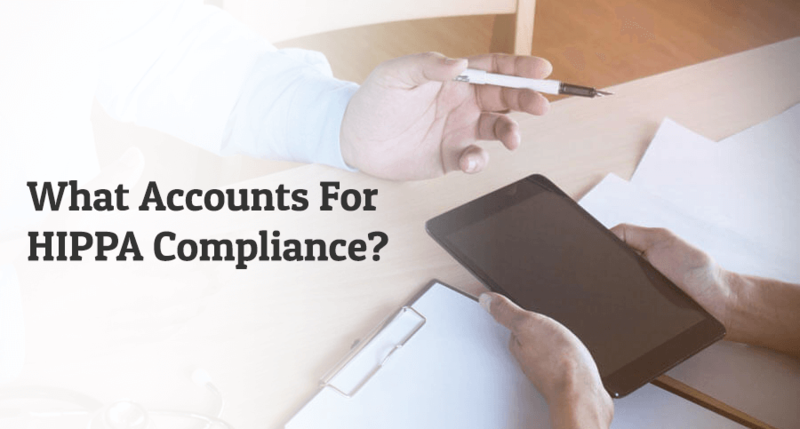 What Accounts for HIPAA Compliance Based App? 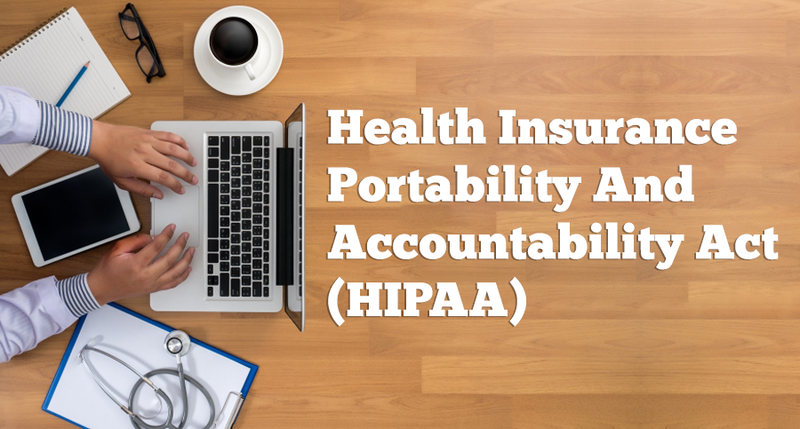 The Privacy and the Security Rules are the two choices that characterize HIPAA consistence for covered entities as well as business associates. The Privacy Rule characterizes what qualifies as PHI, and who is in charge of guaranteeing that it isn’t revealed inappropriately. PHI is any separately recognizable medical data transmitted via any medium. Furthermore, this isn’t the main data saved or transmitted by a medical clinic or another consideration supplier. Once more, any entity that has anything to do with the capacity or transmission of this information is at risk. The Security Rule relates explicitly to electronic data and sets rules for how to verify PHI. It separates assurance strategies into three classes: managerial, physical, and technical. The three classifications are generally direct: managerial spins around access training and control, physical shields are for good gadgets, and technology identifies with the information itself. Mobile applications present new difficulties for sticking to HIPAA prerequisites for verifying electronic Protected Health Information (PHI). 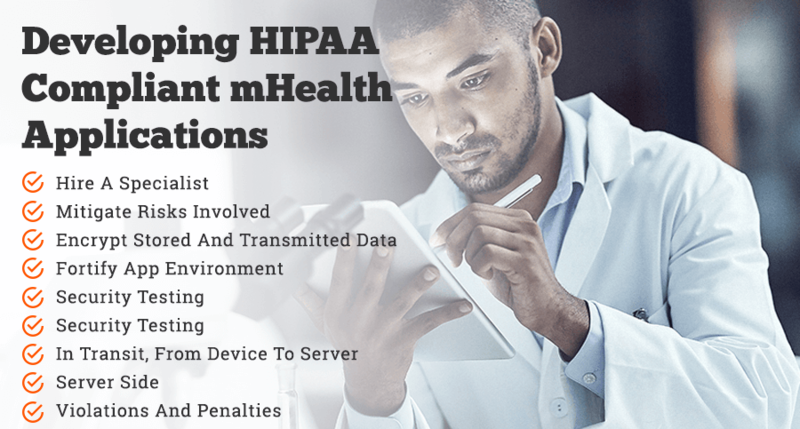 In case you want to fabricate a mhealth application that will save, and transmit PHI to a secured entity, you should be HIPAA consistent or will acquire the mind-boggling expenses of non-compliance. As a Leading Software Development Company ChromeInfotech, we have qualified, and HIPAA Certified developers who can be able to create your mhealth application with all the required features and functionalities with considering the guidelines of HIPAA compliance based apps. We have delivered lots of health application with the guidelines of HIPAA compliance based apps, if you are the one who is looking for the modern technological organization who can help to grow their business by developing a high-quality product, then ChromeInfotech is the right service provider to handle your app idea. See our work portfolio and success stories by clicking here. A client came to us with the thought to develop an eHealth platform that would be a space where the patient, their relatives, their doctors & their health professional, hospitals could communicate and exchange information. Here’s What You Should Know About eHEALTH? Our high-end developers have work with creativity and by considering the guidelines of HIPAA Compliance based apps as well. They delivered an amazing project which gets funded by 2M and also it’s a leading mhealth application. If you are looking to create your next-gen software or mobile app, you can call us. We would love to assist you and give you the best solution that can be beneficial for you. Let’s talk you can be the next one! Now let me continue with the article! HIPAA compliance includes some extra layers of complexity, in consist of defining as well as implementing Technical Safeguards, Physical Safeguards, Administrative Safeguards, Documentation Safeguards, and Breach Notification Rules. Creating, documenting or archiving, implementing, and certifying all every one of these prerequisites takes months and also may cost more than $100,000. Certification alone might be very costly. One way to lower the app development cost is to go to a cloud provider that has configured portions of the stack and pre-certified their services. The critical question is, which type of cloud service will lower the maximum risk? One way to bring down the cost of application development is to go to a cloud server provider that has arranged segments of the stack and pre-certified their administrations. The essential inquiry is, which sort of cloud server solution will bring down the maximum risk? The initial step is to guarantee whichever “*aaS” you pick is HIPAA consistent and the cloud server provider or affiliate is prepared to sign a (BAA) or Business Associate Arrangement to back it up. When it comes to the development of the medical application by considering the guidelines of HIPAA Compliance based apps, you will need an expert organization who can give you the best result. As ChromeInfotech, we are a leading software and iPhone app development company, and we are providing the best solution to all your mobile application need. We also offering the robust Cloud server Integration service for your mhealth application and software project by considering the service and platform. Our high-end mobile app developers are HIPAA certified they using Tableau Database Tools. To Upload accurate data of your users and clients that help you to get them to know the appropriate information. And they have significant experience in working with Medical software and application. We have delivered more than 20 projects with the best achievement rate. Let me continue with the article now! 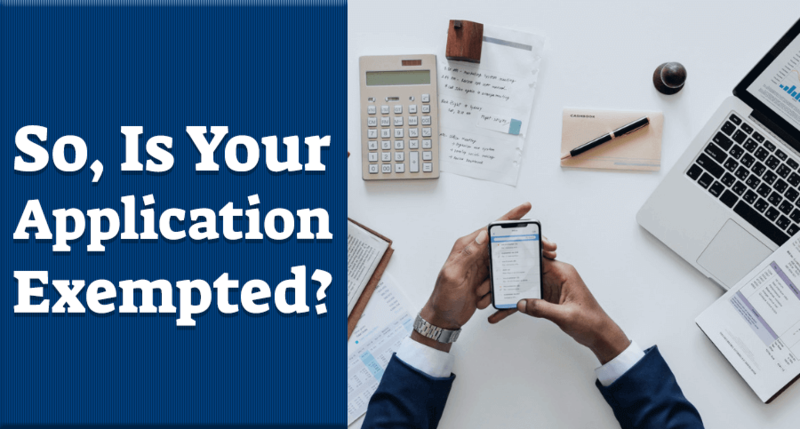 So, is Your HIPPA Application Exempted? Shopper applications that are gathering data, for example, calorie count and weight reduction data, commonly shouldn’t be compliant. For instance, the Google Fit and apple health application are not gathering any PHI, so in this way, HIPAA compliance isn’t essential in these cases. Regardless of whether they are planning for a covered entity or a BA. I’ve made a five-thing agenda to guide the designers as they manufacture a mobile application that may fall in-scope for HIPAA compliance based apps. 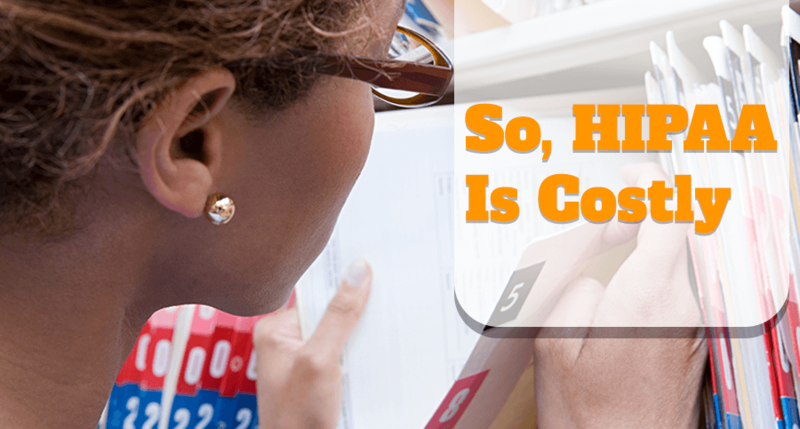 The subtleties of HIPAA can get precarious, so ensure you counsel a specialist. Considering these things will in no way, shape or form ensure compliance. However, in case you pursue these accepted procedures and run your application through mobile application security testing to approve that you have, you’re in any event mostly there as far as due perseverance. As you should when, building up an application, ensure you direct a reasonable and keen survey at each phase of development. Security ought to be a procedure, not an idea in retrospect. Contract a mobile application development organization that has involvement with building up a HIPAA compliance based apps; freelancers are an exacting no-no. Utilize App Transport Security or ATS to drive mobile applications to interface with back-end servers on HTTPS (SSL), rather than HTTP, to encrypt the data in transit. Don’t send a push notification that contains PHI; they are not secure. The local session of the application should timeout after some time. Disengage the application so that it’s for all intents and purposes undetectable to other applications in your cell phone. Saving the application data, logs can be risky. On iOS, you must undoubtedly employ the covered entity to save your encryption keys. Any PHI in the creation should have to encrypt point of fact. Android and iOS will work in general store information on the plate when the network is disconnected. This will put you out of the compliance and draw in stiff penalties and fines. Use TLS and present-day figure suites. Certificate sticking is necessary if the gadgets will work in untrusted systems like open Wi-Fi, and is an excellent practice in any case. To maintain a strategic distance from man-in-the-center assault do hostname approval on your cert. When your information has entered safely in the server storage, there is a finished scope of fears around encryption, essential administration, key turn, encoded reinforcement, review logging, and so forth in case, you’re inexpert. Business Associates and are liable to HIPAA guidelines as much as Covered Entities. The outcomes of HIPAA infringement incorporate penalties and major medicinal activities. Common penalties extend from $100 to $50,000 per infringement contingent to the aim (lack of regard versus deliberateness). In an ongoing instance of carelessness, a Business Associate’s stolen cell phone released 412 people’s PHI. He has issued a fine of $650,000. What sort of difficulties will I face if my health application isn’t agreeable when it ought to be? There are stringent common and criminal penalties that can force by the US Dept. of Health and Human Services, as ordered by Congress. Likewise, state lawyer commanders are approved to implement HIPAA. If medical personnel will be using my health app, does that automatically mean it needs to be compliant? Not really. If the application does exclude or offer access to exclusively recognizable information characterized as PHI, it is probably going to be out of extension. For instance, the application may give total information or examination measurements. 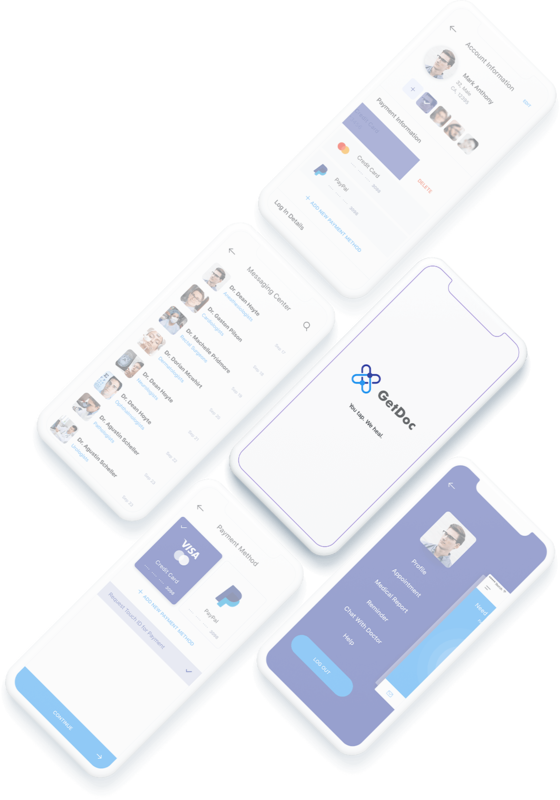 What would it be advisable for anyone to hope to make an application that gathers individual information think about before starting work with a mobile application developer? But, it’s tied in with ensuring it’s done correctly. HIPAA is a specific law that influences anybody managing clients’ close to home health data. We, as mobile application designers, are similarly as at risk as the Covered Entity or (CE), so it’s urgent for us to comprehend what’s the motivation behind the application, will’s identity utilizing it, and what data will be put away, gathered and shared. It can get uncommonly entangled when you factor in approval and who is entering the individual health data. We will need to realize who is coming to the information. Will, a user, enter it? Or will the medical personnel or doctors be entering the information? We will also ask the questions, for example, where will the connections are set up? In the office or at home? Such as, will the user first register and then login in front of the medical administrator or at home? This has to dubious supposing that done at home, how might you check that individual’s true identity? 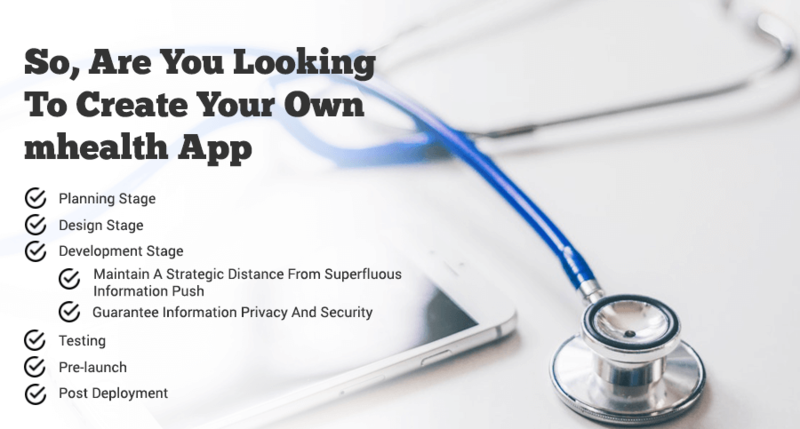 There are a few subtleties with regards to HIPAA; the necessary thing to know is that any mobile application utilizing individual information ought to dependably needs to structure given security and protection. The Security Standards of HIPAA comprise of a lot of complicated rules worked to guarantee the insurance of PHI. These rules incorporate secure access control to quiet data, and medicinal records followed report activities. The capacity to square touchy information and guarantee the staff is suitably taught. On the storing, handling, you are retrieving, sending of e-PHI, sensitive and confidential information. Ensures that each from a social insurance association comprehends the practices essential to provide both the protection and security of patients’ and therefore make a ‘human firewall’ against an information break. Teaches staff that securing patients’ PHI is just one more part of protecting patients – as essential as disease control, fall-avoidance, and drug health measures. Promotes watchful treatment of PHI to improve quiet fulfillment and builds HCAHPS (Hospital Consumer Assessment of Healthcare Providers and Systems) score. Increases therapeutic services supplier’s mindfulness and gives explicit guidance about how to protect patients’ records. Reduces managerial and authoritative obligation. Protects the association and staff from the individual risk. Staff preparing is required by law. Allows for definite separation among contenders. As HIPAA compliance based apps agreeable practices are viewed as progressively secure as it identifies with patient data. Helps assemble an establishment for future innovation usage. Proactively helps associations dodge costly extra safety efforts. Reduces therapeutic mistakes, increment quiet fulfillment and trust, improves nature of consideration, and make operational efficiencies. 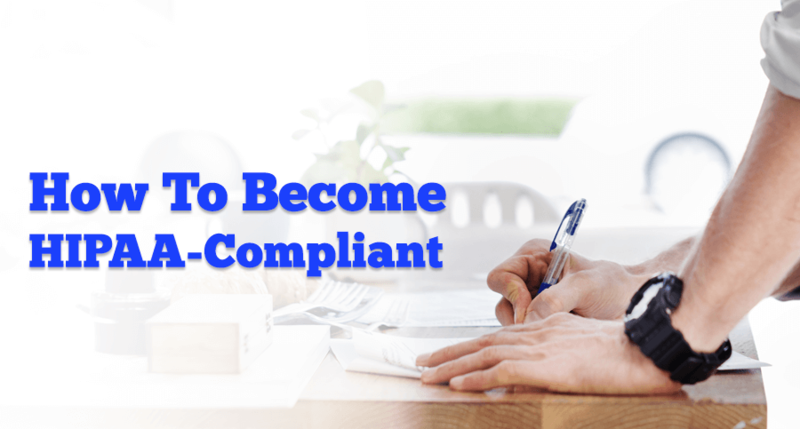 How to become a HIPAA Compliance Based Apps Developer? To be HIPAA Compliance based Apps Developer or HIPAA compliant. You’ll need to make usual specialized and non-specialized assessments of your endeavors to ensure health data and altogether archive them. The controller has distributed an example review convention that can enable you to survey your HIPAA consistency. You can enlist an autonomous examiner to evaluate you. There are numerous associations, for example, HITRUST that have some expertise in that kind of thing. Just recall that OCR doesn’t perceive any third-party certificate. While creating HIPAA compliant application or software, you’ll, for the most part, need to manage the Technical and Physical protections laid out in the Security Rule. Technical Safeguards. Safety efforts like login, encryption, crisis get to, movement logs, and so on. The law doesn’t determine what advances you should use to ensure PHI. Physical Safeguards are meant to verify the offices and gadgets that store PHI (servers, server farms, PCs, PCs, and so on.). With present-day cloud-based arrangements, this standard, for the most part, applies to HIPAA consistent facilitating. The safeguards laid out in the Security Rule can be either “required” or “addressable.” Both are compulsory. If you avoid an “addressable” ensure, you ought to demonstrate this is an adequately sensible choice for your circumstance. So, are you looking to create your mHealth App? When intending to construct a Healthcare application, the cell phone security highlights need to consider. Any Healthcare application can view as legitimate if it helps HIPAA consistency and is consistent. The ideal approach to do this is guaranteeing the data security and protection rules are thought of from the start. For each datum trade utilizing the application HIPAA guideline of protection and security should have to connect to guarantee that the applications remain compliant. It needs to get that, while entering information into a cell phone may not require HIPAA consistency, any endeavor to transmit the information could (or will) make it PHI. So the trial of protection needs to connect towards this — moreover, HIPAA endeavors to improve the adequacy and productivity of Healthcare to all patients. So the arranging stage ought to think about the arrangement for every cordial datum, as far as HIPAA guidelines. This ought to incorporate making arrangements for plan, improvement, testing, pre-organization and sending stages. Arranging stage ought to likewise anticipate and make any consideration related FDA guidelines to have to consider in the ensuing steps. The structure phase of the mHealth application must influence the express incorporation of highlights to incorporate HIPAA consistency measures. Mobile application engineers must guarantee that UI, information exchanges (particularly over the system), process stream and all other plan highlights are dealing with HIPAA principles. Particularly the majority of the drive situations (just as the organized need for any push) have to archive, which can be dealt with amid development and testing stages. Maintain a strategic distance from extra information push: Mobile telephones have a great deal of information push incorporated with different applications that are conveyed over the mobile system. So, the push notification happens to be a quality in mobile applications. Information or data have to press from the gadget or a focal application into cell phones. When all is said in done and push notification that may conceivably occur on the mHealth application needs to create via restraining the pointless pushes. Guarantee information privacy and security: Preferably mHealth applications have to furnish with different login-secret phrase access with a timeout highlight that will empower keep the information and data confined and not accessible to any other person without verification. All information has to scramble naturally and left in an encoded mode with a solid suggestion to the client to hold encryption dependably. The feature to unlock the password have to be genuine as well as strong that will allow PHI protection in every scenario. While testing the mHealth application, extra notes need to provide into the testing phase to guarantee to test towards assuring that HIPAA guidelines are met. Especially vital is the entrance to the health data, the capacity to open the application unintentionally and the capacity to coincidentally or generally unscramble the information. Testing could likewise incorporate any checks towards pointless information push by applying medicinal criteria for materialness of the drive. While the mHealth application can be HIPAA compliant. It might, in any case, be conceivable that the cell phone may consider as a medicinal gadget. And subsequently may require FDA leeway. FDA guidelines have worried about nourishment. Tranquilizes and related items that influence the nature of anything ingestible by individuals. If the device has any component that covers the FDA guidelines. At that point, it must go through FDA leeway. It should likewise notice that HIPAA permits passing or transmittal of information. Especially PHI to an individual or gathering subject to the purview of FDA, which must be recognized. Any upgrades or updates that pushed into the mobile device for mHealth applications should make sure the continued compliance with the HIPAA and FDA norms (whichever are applicable). So these have to create and tested by considering the rules and regulations. There might be some settings that may be beyond the control of the applications to change. Basically, under the control of a user, for example, screen-lock or passcode, these may be better notified to a user via several effective means for example emails or relevant notification contexts. So, after this, I am going to talk which chat tools are best to integrate into your Healthcare HIPAA Compliance based apps. While thinking about to integrate the Chat function into your app, there are some great example of best chat platforms, for example, you can use Twilio, Sendbird, PubNub, CometChat, and Pusher. They are the best chat platform if you are thinking to integrate into your HIPAA Compliance based apps. If you want to integrate the Map API in your app, then you must know the best mapping tools are available to incorporate in your app such as; Google Map, Bing Map, Waze, Mapbox, etc. You also may know the metrics and behavior of the users by integrating mobile app analytics in your application. Mobile app analytics will help you to give you the accurate information either your users like your app or not and where do you lack to engage with the users. 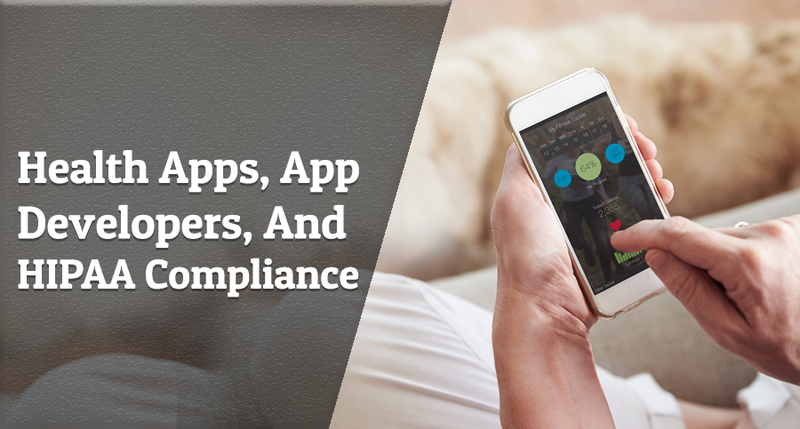 I hope the above article will help you to understand the guidelines of HIPAA Compliance based apps and how you can create the best and successful mobile application by considering HIPAA Guidelines. Here in this post, I have mentioned some significant information that a business person needs to know. If you are the one who is looking for the best FIrebase or mobile app development company to create your Healthcare or mhealth application, then ChromeInfotech is one best choice for you. Yes, we are a well-known software and Angular JS app development company, we have created lots of mobile apps and software related to mhealth by considering HIPAA Guidelines. Our certified developers will also integrate Payment Gateway Service in your mhealth app. It will help you to provide your service worldwide without any hassle. We have HIPAA Certified Developers and Designers who have years of experience to build your dream app as per your need and requirement. We also create Mean Stack mobile app that can be easily integrated with any sort of tools like, chat or map tools. If you found this post interesting or you need to give any suggestion that I can add in it, please share your comment below.